9 Days from USD$ 3,195 (all inclusive). 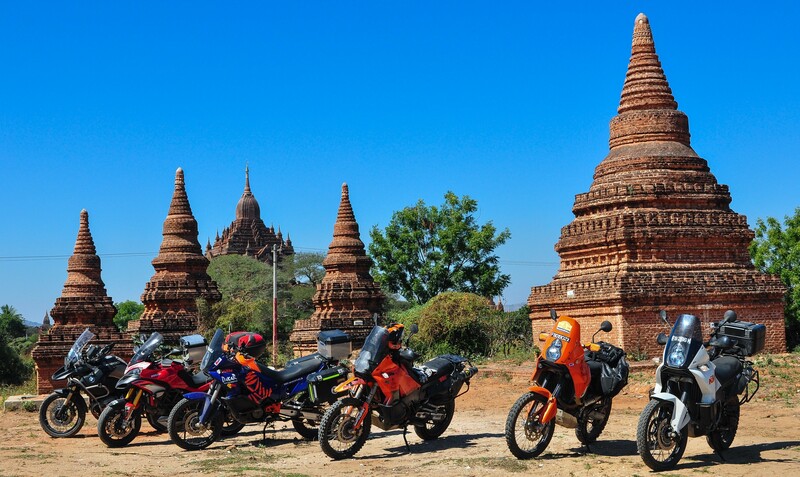 On one of our Myanmar motorcycle tours you can ride to the ancient Pagodas of Bagan, ride into the new capital Naypyidaw & experience the untouched culture. 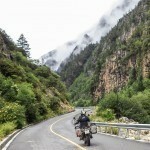 From out of the shadows, now possible, don't miss this new experience on a motorcycle tour through Myanmar. 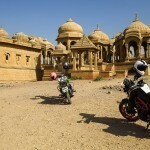 Ride through the unique 2,000 Pagodas of ancient Bagan. 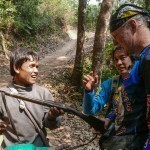 See local smiles through cheeks smeared with thanaka (sunblock made from ground tree bark) which will have you mesmerized. 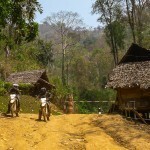 Our Myanmar motorbike tours will take you to the best places in the country for sure. 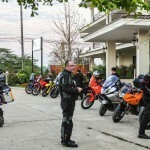 We start the adventure tour in Thailand and enter Myanmar at one of the international border crossings, returning by motorcycle to Thailand at the end of this Myanmar motorcycle tour. 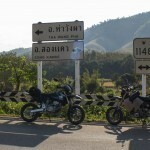 Also -Check out our new 14 day Myanmar Motorcycle tour, "click here". administrative capital of Myanmar was officially moved to a greenfield 3.2 km west of Pyinmana and approximately 320 km north of Yangon, the previous capital. The capital’s official name was announced on 27th March 2006,Myanmar Armed Forces Day. Much of this planned city is still under construction. As of 2009, the population was 925,000 people, which makes it Myanmar’s third largest city, behind Yangon and Mandalay. The city is one of the world’s 10 fastest growing cities. You drive to the Uppatasanti Pagoda (“Peace Pagoda”) – a prominent landmark in Naypyidaw. The pagoda houses a Buddha tooth relic from China. It’s an almost same-sized replica of the Shwedagon Pagoda in Yangon and stands 99 meters tall. The pagoda is only 30 cm shorter than the Shwedagon Pagoda. You will then drive on from Naypyidaw to Bagan. Enjoy the temples at sunset at Bagan. Overnight at the Bagan Thande Hotel in or similar. Day at leisure or drive around the area. Dhammayangyi: built in the 12th century by Kalagya Min (the king killed by the Indians), this pagoda resembles a pyramid from the side. Impressive mortar-less brickwork – the king ordered that the bricks fit together so tightly as not to admit even a pin to pass between them. Otherwise (it is said) he cut off the workers’ hands. Ananda Pagoda: one of the finest, largest, best preserved and most revered of the Bagan temples fully restored after suffering damage in the 1975 earthquake. Built around 1105 by King Kyanzittha, this perfectly proportioned temple heralds the stylistic end of the Early Bagan period and the beginning of the Middle period. There are 4 large wooden Buddha figures, and 2 of them appear to change their expression the closer you get. Shwe Zi gon Pagoda: started by Anawratha, but not completed until the reign of Kyanzittha (1084-1113). The stupa’s graceful bell shape became the prototype for Myanmar’s pagodas. Supposedly the Shwezigon was built to enshrine one of the four replicas of the Buddha tooth from Kandy, Sri Lanka, and to mark the northern edge of the city. 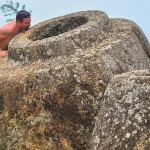 The other three tooth replicas went to three other stupas marking the east, south and west of the city. Overnight at the Bagan Thande Hotel in or similar. 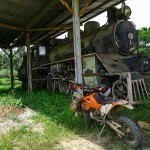 You will proceed by bike from Bagan to Pyay. You will drive from Pyay to Bago, which was reputedly founded in 573 AD by two Mon princes from Thaton. During the late Mon dynastic period it became the center of the Mon kingdom. The city is also famous for its huge reclining Buddha, which measures 55 meter in length and was originally built in 994 AD. Hintha Gon Paya: a shrine, built by U Khanti, who already built Mandalay Hill. It is supposed to be the point rising from the sea, when the hintha (mythological bird) landed here. 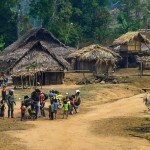 It offers a brilliant view over Bago and the region. Shwethalyaung Buddha: a huge reclining Buddha. It is reported to be one of the most lifelike of all reclining Buddhas. Originally it was built in 994 AD of brick and stucco by the Mon king Migadepa II. Mahazedi Paya: Originally constructed in 1560 AD by King Bayinnaung, it was destroyed during the sack of Bago in 1757, it wasn’t rebuilt and the earthquake in 1930 levelled it nearly out. The current reconstruction was only completed in 1982. There is a nice surrounding view from the top. The duplicate tooth of the Buddha and emerald bowl of King Kandy from Sri Lanka was once enshrined here and is now in the Kaunghmudaw Paya in Sagaing. From Bago you will drive on to Mawlamyang – an attractive, leafy, tropical town with a ridge of stupa-capped hills on one side and the sea on the other. Mawlamyine served as capital of British Burma from 1827 to 1852. Visit some of the major pagodas, including Mahamuni Paya and Kyaikthanlan Paya, located on a hill with panoramic views overlooking the Thanlwin River. Then head to Queen Sein Done’s Monastery, the highlight of Mawlamyaing. Located on a hill with panoramic views overlooking the Thanlwin River, visit View Point, an especially beautiful spot for sunset or sunrise. Enjoy the sunset at the charming promenade. Overnight at the Strand or similar. 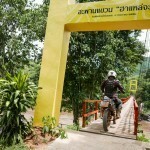 From Mawlamyang you will drive back to Mae Sot- across the Dawna Mountain Range.